Matthew 22:1. And Jesus answering. Though Matthew relates this parable among other discourses which were delivered by Christ about the time of the last Passover, yet as he does not specify any particular time, and as Luke expressly affirms that Christ delivered this discourse while he sat at table in the house of a Pharisee, I have thought it better to follow this order. The design which Matthew had in view was, to point out the reasons why the scribes were excited to the highest pitch of fury; and therefore he properly placed it in the midst of those discourses which were hateful to them, and interwove it with those discourses, without attending to the order of time. But we must attend to Luke’s narrative, who says that, when one of those who sat at table with him said, Blessed is he that eateth bread in the kingdom of God, Christ took occasion from it to upbraid the Jews with ingratitude. It is by no means probable, that the guest and friend of a Pharisee broke out into this exclamation from any sincere feeling of piety. Still, I do not look upon it as having been spoken in derision; but, as persons who have a moderate knowledge of the faith, and are not openly wicked, are in the habit of indulging, amidst their cups, in idle talk about eternal life, I think that this man threw out a remark about future blessedness, in order to draw out some observation in return from Christ. And his words make it manifest, that he had nothing in view beyond what was gross and earthly; for he did not employ the phrase, eat bread, as a metaphor for enjoy eternal life, but appears to have dreamed of I know not what state, filled with prosperity and abundance of all things. The meaning is, Blessed shall they be who shall eat the bread of God, after that he has collected his children into his kingdom. 2. The kingdom of heaven is like a human king. As it was long ago said by a Spartan, that the Athenians knew what was right, but did not choose to practice it; so Christ now brings it as a reproach against the Jews, that they gave utterance to beautiful expressions about the kingdom of God, but, when God kindly and gently invited them, they rejected his grace with disdain. There is no room to doubt that the discourse is expressly levelled against the Jews, as will more plainly appear a little afterwards. Matthew and Luke differ in this respect, that Matthew details many circumstances, while Luke states the matter summarily, and in a general manner. Thus, Matthew says that a king made a marriage for his son: Luke only mentions a great supper. The former speaks of many servants, while the latter refers to no more than one servant; the former describes many messages, the latter mentions one only; the former says that some of the servants were abused or slain, the latter speaks only of their being treated with contempt. Lastly, the former relates that a man was cast out, who had gone in to the marriage without a wedding garment, of which Luke makes no mention. But we have formerly pointed out a similar distinction, that Matthew, in explaining the same thing, is more copious, and enters into fuller details. There is a remarkable agreement between them on the main points of the parable. God bestowed on the Jews distinguished honor, by providing for them, as it were, a hospitable table; but they despised the honor which had been conferred upon them. The marriage of the king’s son is explained by many commentators to mean, that Christ is the end of the Law, (Romans 10:4.) and that God had no other design in his covenant, than to make him the Governor of his people, and to unite the Church to him by the sacred bond of a spiritual marriage. I have no objection to that view. But when he says, that the servants were sent to call those who were invited, these words are intended to point out a double favor which the Jews had received from God; first, in being preferred to other nations; and, secondly, in having their adoption made known to them by the prophets. The allusion is to a practice customary among men, that those who intended to make a marriage drew up a list of the persons whom they intended to have as guests, and afterwards sent invitations to them by their servants. In like manner, God elected the Jews in preference to others, as if they had been his familiar friends, and afterwards called them by the prophets to partake of the promised redemption, which was, as it were, to feast at a marriage. It is true that those who were first invited did not live till the coming of Christ; but we know that all received an offer of the same salvation, of which they were deprived by their ingratitude and malice; for from the commencement, God’s invitation was impiously despised by that people. 4. Again he sent other servants. He speaks as if it had been the same persons who were invited, for it was one body of the people. The meaning is, that when the happy and joyful day of redemption drew near, they were warned to be ready; for they had been long ago informed as to the time. But now Christ told them that, at the very hour, fresh messengers were sent to entreat them to come with haste; for the first invitation which he mentions includes all the former prophecies, down to the publication of the Gospel. For a long period, they exercised cruelty on the prophets; but their fury grew as the time advanced, and at length spent all its force on Christ and the apostles. For this reason, he charges the ancient people with nothing more than contempt and pride, but says, that the servants who had been last sent, and who arrived at the hour of supper, were abused or slain. That people arrived at the highest pitch of their crimes, when their haughty rejection of his grace was followed by the madness of cruelty. And yet he does not charge all of them equally with crime; for even at the latest call, which was given by the Gospel, the grace of God was in part ridiculed by careless despisers, and in part was furiously rejected by hypocrites. And thus it usually happens, that ungodly men break out into fiercer rage against God, in proportion to the earnestness with which he invites them to salvation. We must now consider that part of doctrine which is conveyed both by Matthew and by Luke. One went to his field, and another to his merchandise; or, as Luke expresses it, one pleaded that he had married a wife; another that he had purchased a field; and another that he had bought five yoke of oxen. By these words Christ pronounces the Jews to have been so entirely devoted to the world and to earthly things, that no man found leisure to approach to God; for the cares of this world, when we become entangled by them, are so many impediments in our way to keep us back from the kingdom of God. It is truly base and shameful, that men who were created for a heavenly life, should be under the influence of such brutish stupidity, as to be entirely carried away after transitory things. But this disease is universally prevalent; so that hardly one person in a hundred can be found, who prefers the kingdom of God to fading riches, or to any other kind of advantages. Though all are not infected with the same disease, every man is led away by his desires; in consequence of which, all are wandering in various directions. Besides, it deserves our attention, that ungodly men hold out fair pretences for rejecting the grace of God; as if their indolence might be excused, because they are entirely occupied with the affairs of the present life, and care little about a heavenly inheritance. But we see how Christ takes from us all such excuses, that no man may imagine it to be of any advantage for him to plead that he is detained by engagements of an earthly nature. On the contrary, men commit a double fault, when they allow themselves to be retarded by those things which are in themselves lawful, and which ought rather to have aided their progress. For why does God allow us the conveniences of the present life, but in order to draw us to himself? And yet so far is it from being true, that all have earnest desires towards heaven, in proportion as they are assisted by acts of the Divine kindness, that even holy marriage, and fields, and other riches, are so many snares to bind every man more closely to the earth. 7. But when the king heard it. This punishment is mentioned by Matthew alone; for Luke makes no mention of any outrage committed on the servants. Both concur in stating, that those who did not come at the appointed time were shut out, and deprived of the honor of being present at the banquet. But this doctrine applies equally to us; for the same destruction which Christ denounces against the Jews awaits all the ungodly, who violently oppose the ministers of the Gospel. Those who are so entirely occupied with earthly cares, as to set no value on the divine invitation, will at length perish miserably in famine and want; and therefore, whenever God calls us, let us be prepared and ready to follow. when he threw them off, and received the polluted and filthy Gentiles into his house. But if at that time he spared not the natural branches, (Romans 11:21,) the same punishment will this day be inflicted on us, if we do not answer to his call. The supper which had been prepared for us will not be lost, but God will invite other guests. Luke 14:23. Compel them to come in. This expression means, that the master of the house would give orders to make use, as it were, of violence for compelling the attendance of the poor, and to leave out none of the lowest dregs of the people. By these words Christ declares that he would rake together all the offscourings of the world, rather than he would ever admit such ungrateful persons to his table. The allusion appears to be to the manner in which the Gospel invites us; for the grace of God is not merely offered to us, but doctrine is accompanied by exhortations fitted to arouse our minds. This is a display of the astonishing goodness of God, who, after freely inviting us, and perceiving that we give ourselves up to sleep, addresses our slothfulness by earnest entreaties, and not only arouses us by exhortations, but even compels us by threatenings to draw near to him. 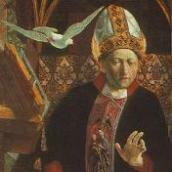 At the same time, I do not disapprove of the use which Augustine frequently made of this passage against the Donatists, to prove that godly princes may lawfully issue edicts, for compelling obstinate and rebellious persons to worship the true God, and to maintain the unity of the faith; for, though faith is voluntary, yet we see that such methods are useful for subduing the obstinacy of those who will not yield until they are compelled. Matthew 22:11. And the king, having come in to see the guests. Here Christ does not reproach the Jews with having wickedly despised the grace and calling of God; but gives early warning to those who would be placed in their room, not to pollute with their filth the holy marriage, when God shall bestow upon them admission to his table. Hitherto he has taught that the Jews, on account of their ungodly and disdainful conduct, would be deprived of the peculiar honor and privilege which they had enjoyed; and that from among the irreligious and abhorred Gentiles would men be called to occupy their place. But now he threatens that, out of this very number, those who bring reproach upon the Church will be expelled; for God invites all indiscriminately by the Gospel, and thus many unholy and abominable persons creep in, who, though for a time they are admitted along with others, yet, when God reviews the guests, will be thrown out and dragged to punishment. The general truth conveyed is, that not all who have once entered the Church will become partakers of everlasting life, but only those who are found to wear the dress which befits the heavenly palace. As to the wedding garment, is it faith, or is it a holy life? This is a useless controversy; for faith cannot be separated from good works, nor do good works proceed from any other source than from faith. But Christ intended only to state, that the Lord calls us on the express condition of our being renewed by the Spirit after his image; and that, in order to our remaining permanently in his house, we must put off the old man with his pollutions, (Colossians 3:9; Ephesians 4:22,) and lead a new life, that the garment may correspond to so honorable a calling. But a question arises, how comes it that a beggar is punished so severely for not bringing a wedding garment; as if it were unusual to see the wretched people, who beg their bread on the public roads, wearing tattered and ugly clothes? I reply, the question is not as to the manner in which the garment is to be procured; for whomsoever the Lord invites he at the same time supplies with clothing, and in all of us is fulfilled what Ezekiel says, (16:6-14,) that God finds nothing in us but wretchedness, and nakedness, and abominable filth, but adorns us with magnificent attire. We know also, that there is no other way in which we are formed anew after the image of God, but by putting on Christ, (Romans 13:14; Galatians 3:27.) It is not, therefore, the declaration of Christ, that the sentence of casting them into outer darkness will be executed on wretched men who did not bring a costly garment taken from their own wardrobe, but on those who shall be found in their pollution, when God shall come to make a scrutiny of his guests. I enter no farther, at present, into the question about the eternal election of God; for the words of Christ mean nothing more than this, that the external profession of faith is not a sufficient proof that God will acknowledge as his people all who appear to have accepted of his invitation.